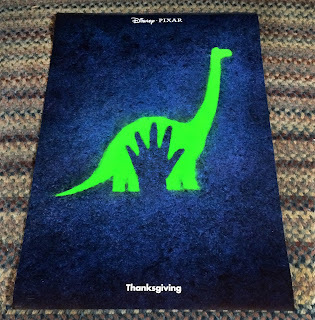 Last June, Disney·Pixar revealed their teaser poster for The Good Dinosaur. The beautiful, minimal imagery of Arlo's outline with the human hand print was a design I instantly fell in love with; so when I saw recently that it was available on Disney Movie Rewards, I just had to go for it! And it so happened that I had just enough points. You can get this Good Dino one sheet poster right now for free on Disney Movie Rewards HERE- just 500 points! It's a standard theater house size of 27"w x 40"h, which is actually pretty massive. I still don't know where I'm going to hang this, so for now it will remain in the poster tube until I get the frame and the space. No doubt it will look fantastic all framed up one day though! 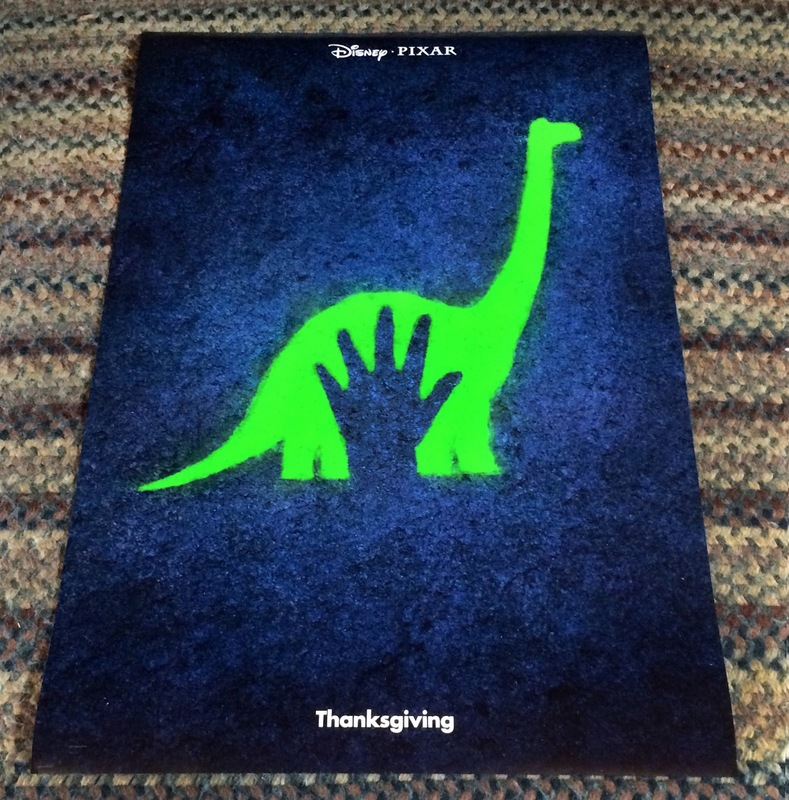 Additionally, not long after I redeemed this offer, the final The Good Dinosaur one sheet went up on Disney Movie Rewards as well (also for 500 points). If you're more interested in that design, be sure to place your order HERE.